This presentation will examine the visionary dimension in the Vita of Andrew the Fool of Constantinople (X c.). Hagiographic accounts about holy fools—a special category of saints within Eastern Orthodox Christianity—present them as ascetics feigning madness in order to cultivate uninterrupted connection with God, hide their holiness and provide spiritual guidance. The fool’s charisma rests on her reputation as a God’s mouthpiece, on her prophetic abilities and superhuman power. While holy fools position themselves as madmen and sinners, they are seen by the public as visionaries and prophets. Yet at the time of the inception of the behavioural model of holy foolishness, visionary dimension was completely absent from their hagiographic portrayals. 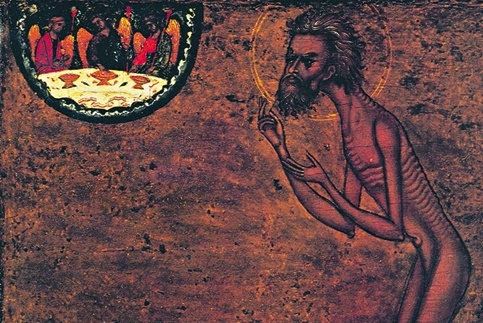 As dreams, visions, and other extraordinary states started entering hagiographic narratives about holy fools, the ascetic model of holy foolishness gave way to the prophetic one. My paper explores this transmutation of the holy fool’s paradigm through the analysis of visionary narratives in the Vita of St Andrew the Fool.